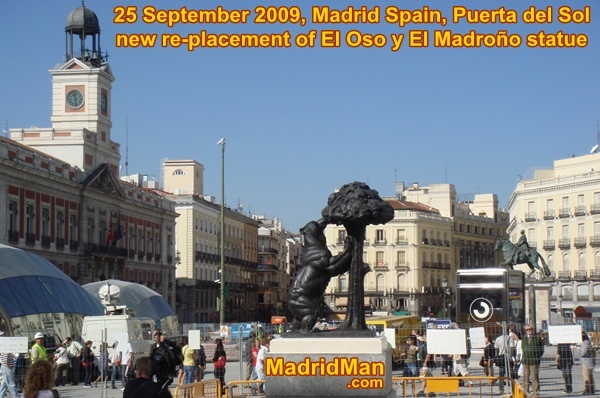 At about 10:30am this morning, Madrid’s city symbol, “El Oso y el Madroño” (bear and the berry tree), was moved to a new location in Madrid’s Puerta del Sol. Actually, it has returned to its ORIGINAL location where it stood from 1967 to 1984. Its re-placement returned it to the eastern end of the Puerta del Sol where the Calle de Alcalá meets Sol, just in front and to the left of the Tío Pepe sign. Last Tuesday, I witnessed the removal of the bear statue (see my video below-the first one), designed by Antonio Navarro, where the Calle de Carmen meets Puerta del Sol; its 25 year home. People gathered for hours watching the detachment of the bear statue from its pedestal where so many millions of photos had had their photos taken. I had the perfect vantage point, relaxing at the edge of the terraza of the Hotel Europa with a coffee and slice of “tortilla de patata“. It was this terraza and hotel whose sign had been in the background of so many photos of the Bear and the Berry Tree. 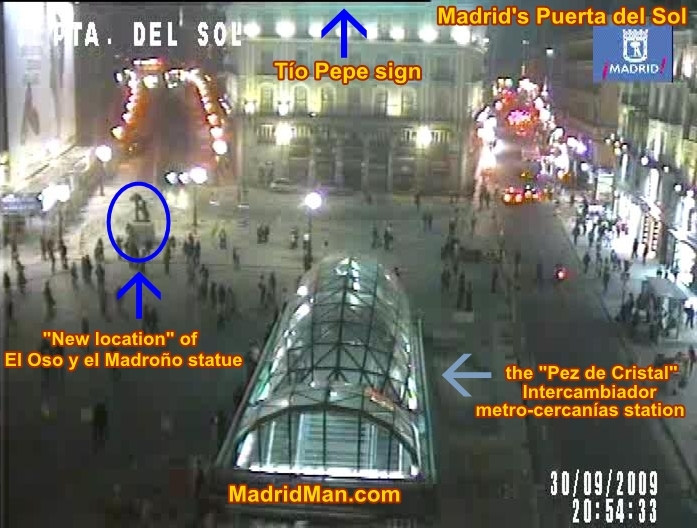 So why was the statue moved from one place to another in the Puerta del Sol? Officials claim the move would help alleviate foot traffic from where the pedestrian Calle del Carmen meets Sol. I guess this could be true, lots of people and street performers did gather there for photos, creating a bottleneck. But what better marketing symbol could anyone wish than to have Madrid’s city symbol on your shop’s street, bringing millions of people to this point which may otherwise not come? Surely the Hotel Europe’s terraza (and maybe hotel) business will see some decline in overall income. I understand why they chose to the new location, roughly 50 meters away and below the Tío Pepe sign as it was the original location of the Oso y el Madroño statue. Returning things to their original place is always historically correct. But apart from its shape, the Puerta del Sol is nothing like it was in 1967 when the Bear statue was originally inaugurated and they’re not likely to return SOL to its original state. In 1984 the Puerta del Sol was a congested, busy, traffic filled plaza with several bus stops just in front of where the bear used to stand. Now, the finishing touches are being put on the nearly-totally pedestrian Puerta del Sol. This, I think, is a good thing. The Puerta del Sol has been a construction site for the past 5 years, since before I moved to Madrid, and everyone is tired of it. 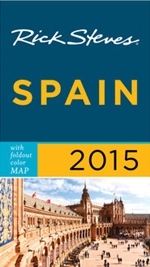 Imagine the millions of tourists whom made their once-in-a-lifetime trip to Madrid to find it in this state. El Oso y el Madroño has always been a meeting point for Madrileños and for tourists but I imagine tourists always had more difficulty finding it in the busy plaza than did the natives. The statue itself is relatively small, possibly only 1.5-2 meters tall but standing on a pedestal of equal size. And, where it was at the Calle del Carmen, it was dwarfed by the tall buildings surrounding it. Now, at least, it’s more out in the open. My only qualms about its new location on the Puerta del Sol – where the Calle de Alcalá meets SOL – is that there is through-traffic between it and the building which holds-up the grand Tío Pepe sign. This can create problems for not the people having their photo taken below the statue but for the people actually taking the picture! Imagine backing up, backing up, and backing up more to get the best panoramic photo only to find a huge, honking bus “bearing” down on you as it makes the turn from the Calle de Alcalá to the Carrera de San Jerónimo. The perspective is still nice, however, with the Puerta del Sol in the background, having the Comunidad de Madrid building on the left, the sky in the middle, and, well, buildings to the right too. From the other side the perspective is not nearly as nice, with the Calle de Alcalá (and oncoming traffic) in the background. Change, regardless of its form, is often accompanied by a certain degree of melancholy. I’ll miss “El Oso y el Madroño” in its “original” (original to me, that is) position, the place where I’ve always known it since my first visit to Madrid in 1995. More changes are coming to Madrid’s Puerta del Sol and I’ll write about those in the days to come. 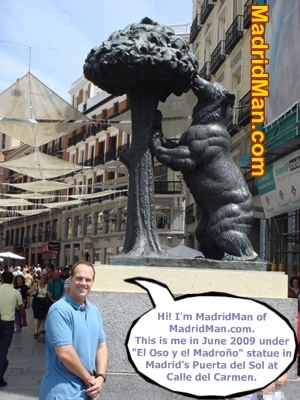 How many times have I had my photo taken at the famous bear statue in Madrid? COUNTLESS! Here’s the latest – AND LAST – photo of me, taken just last June 2009. 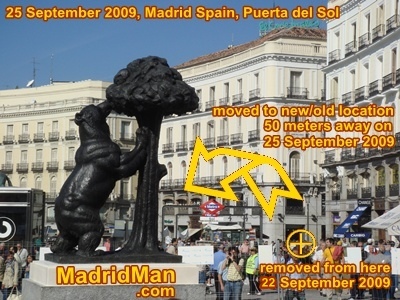 I’ll miss the bear in its old location at the mouth of the Calle del Carmen on Madrid’s Puerta del Sol. It seemed to be so cozy there. But like everything, new first-time memories are created as time marches on and new photos of tourists in front of “El Oso” at its new location will flood the internet, further erasing our memories of how things used to be. What do YOU think about the change in location of the Bear and the Berry tree? 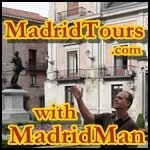 This entry was posted in General, Photos and tagged bear and the berry tree, bear and the madroño tree, bear statue, City Symbol, Madrid, Madrid symbol, meeting point, Oso y el Madroño, Puerta del Sol, statue. Bookmark the permalink. If I were a resident of Madrid I wouldn’t have had a problem with the move provided it was kept at the Puerta del Sol which they did. BTW, MM…I’ve never heard you speak but hearing your voice in the video you sounded as I imagined you would. You’ve got a nice baritone voice. Ever tried singing? I agree. At least it’s still in the Puerta del Sol. At first report it seemed they were going to put it where the Gran Vía meets the Calle de Alcalá. I went there, found some construction, and even asked the traffic cop there where it was going. He didn’t know either and told me HE thought it was being placed near the Sevilla metro station. I’ve never tried singing seriously, no, but have been told I have a good radio voice. I’m no Seth MacFarlane, though! (creator & voices of “The Family Guy”) Besides, if anyone’s face was built for radio, it’s mine! En google maps, aparece el Oso en la calle del Carmen. Y yo no recuerdo haberlo visto ahí. Miralo bien, pero parece que habian cambiado la imagen hace poco, como hace días. Ahora tiene la estatua en su sitio, delante de la nueva Apple Store. Llevaba años a la boca de la Calle del Carmen desde 1984 hasta 2009.